I'd heard a lot about Sarah J Mass, but had never actually picked up one of her books to read. However I knew there was a lot of hype surrounding her and her writing so I was pretty intrigued to discover it. Whilst I was at London Comic Con in May, I stumbled upon a stall run by Bloomsbury and sitting there was a copy of A Court of Thorns and Roses. After having a read of the blurb I went for it and brought it and soon enough I was ready to dive into this world that Sarah J Maas had created. Nineteen year old huntress Feyre is the main provider for her family, ever since they fell on hard times when their large fortune got taken away. During a rather bad winter Feyre is out hunting in the woods and tracks down a wolf. Wanting to feed her family and earn money she kills it without hesitation. A few days later a faerie beast crashes her home, claiming that the wolf she'd killed was actually a faerie under disguise. The beast gives Feyre two options - to be killed or to live with him in Prythian, the land which faeries call home. Choosing to go with the beast, she starts a new life and soon her feelings for the faerie - Tamlin go from icy to sheer love. However, pure evil grows over the faerie lands and Feyre must find a way to stop it to make sure her and Tamlin's love can be forever. First of all I am going to say that I absolutely positively adored this book! From the first chapter I was hooked and there were times when I just couldn't stop reading, I needed to know more and get more into the story. The story itself is a retelling of Beauty and the Beast. I love when classic tales get a retelling so I feel that this was one of the reasons why I became so engrossed. That along with the element of faerie lore was so unique and certainly unlike any YA Fantasy that I'd read before. Not knowing anything about Faerie lore I was slightly worried that I'd end up becoming confused, but I was wrong. I caught on pretty quickly as it is explained in great detail. The plot twists, I think were what made the book. Each time I thought I knew what was going to happen something ended up changing my mind. I went on an epic journey and it was mainly down to how many twists and turns were within the story and plot line itself. I did find myself gasping in shock at a few revelations towards the end of the book and honestly they will shock you as well. I found Feyre, our heroine to be a strong willed, determined young lady willing to fight for whatever she feels is right. I'll admit when I first met her I wasn't entirely sure on her, but as I learnt more about her and got to see more into her feelings I started to love her as a protagonist. Tamlin - oh my god what can I say about him!? I literally found him to be perfect in every single way. I loved the mystery surrounding him and I just found him to be a pretty well rounded character. His blossoming relationship with Feyre was simply adorable and I was always going to root for them. I also found the characters of Lucien and Rhysand to be rather interesting. Especially Rhysand, I didn't know wether to love him or hate him and I really hope I find out more about his backstory in the sequel. A Court of Thorns and Roses was an amazing read! 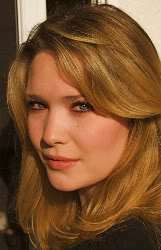 I was literally captivated by the world that Sarah J Maas created and found it to be truly unique. I cannot wait to read the sequel and get transported to the stunning world of Prythian once more.